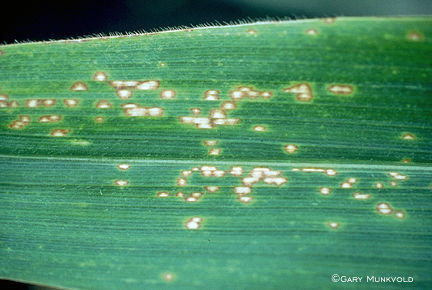 Eyespot causes small, round spots with a brown border surrounded by a a yellow halo. Iowa State University Entomology Department. Last modified 7/6/04 by John VanDyk.